Janet Crane is now teaching wire work classes at Florida Faience! Learn design considerations and techniques required to expertly wrap a cabochon pendant. 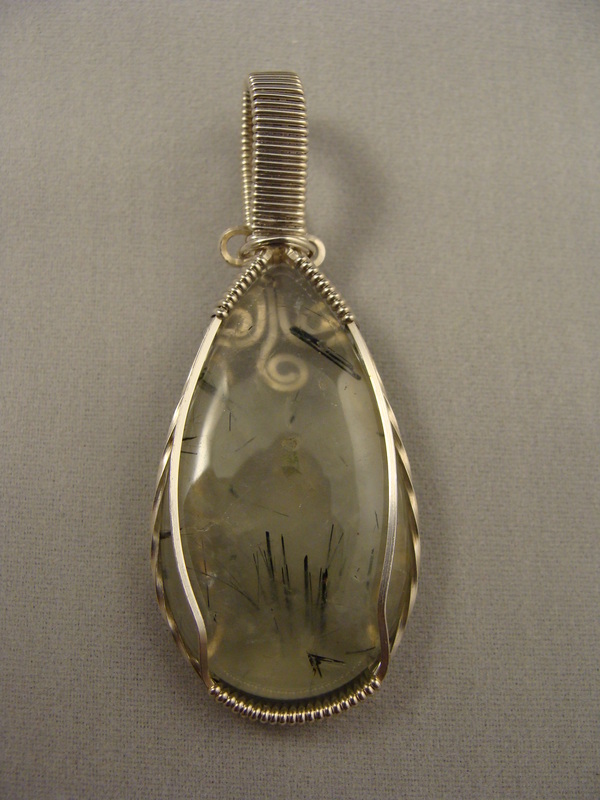 Leave with a pendant you create using the cabochon of you choice wrapped with Argentium (anti-tarnish) sterling silver wire. Learn how to create jump-rings and the correct way to open and close them. 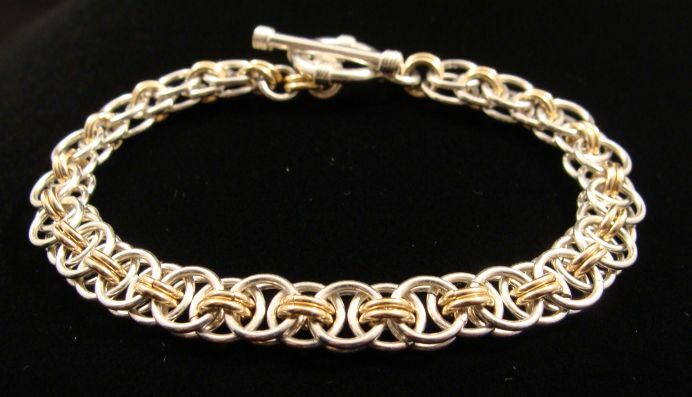 Create a beautiful celtic lace bracelet using Argentium (anti-tarnish) sterling silver together with 14K gold fill accents. 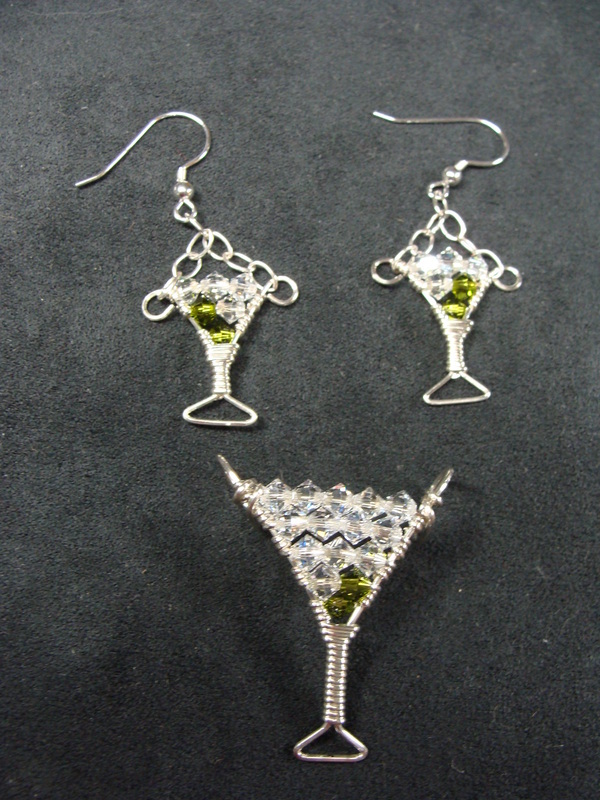 Learn how to create the a Martini Pendant and Earrings using Swarovski Crystals together with Argentium (anti-tarnish) sterling silver. Create the martini of your choice - Dry (with 2 olives), Cosmo (with 2 cherries), Appletini, Blue Moon, Lemon Drop - or create a red or white wine set.